ST. PAUL, Minn. -- St. Paul's mayor threw out a ceremonial ball of yarn to mark the opening of an annual festival for cat videos that drew thousands of feline fanatics to a city stadium. 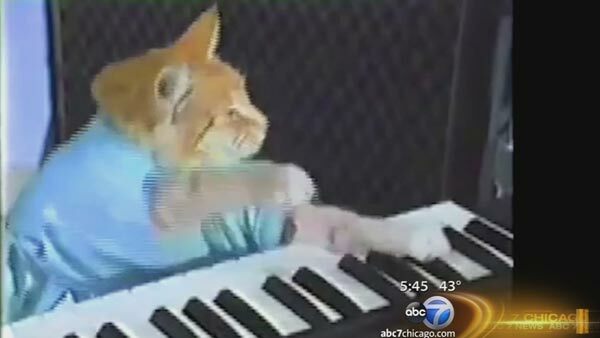 Mayor Chris Coleman said 13,000 people were at CHS Field on Wednesday night for the fourth Internet Cat Video Festival. Videos played on the stadium's large scoreboard as people watched from the stands and blankets in the outfield. Selections included clips of a cat startling a bear and a scene from "Jurassic Park" edited to include giant cats. The festival has bene held in previous years at the Walker Art Center and the Minnesota State Fair.